Looking for a day’s outing?. 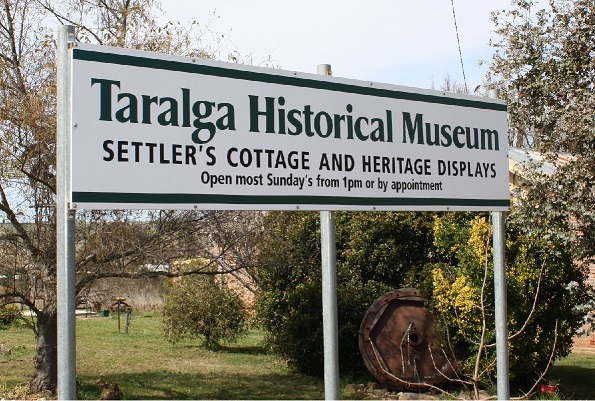 Then head to historic Taralga. Visit the historical museum and step back in time in the colonial cottage and the slab dairy or the shearing shed/blacksmith complex and the recently added Nissan Hut. Morning tea and lunch can be arranged by appointment. A worthwhile historical tour of the complex is available at reasonable prices. The Taralga Historical Society stocks a range of publications which are available for purchase at the Museum. The rose garden contains sixty rose bushes donated by local families, organisations and members as dedications to love ones lost and to help beautify the grounds.